Like many other websites, we use log files to count visits to our site and tell us which areas are most popular. This information is NOT linked to anything that is personally identifiable. This important information tells us what you like and don’t like. It helps us write exclusive content just for you and improve the quality of the website. When you subscribe (Thank You! ), we send an occasional, weekly email with free recipes, eBooks and keto info inside. If you choose to unsubscribe, we won’t email you again or use your email in any other way. If you don’t like free things, you may unsubscribe at any time. Every email has an “Unsubscribe” link near the bottom. We hate spam. We never spam. We never send aggressive sales emails. Instead, we send out free eBook collections of fresh, low carb content a few times each month. Google’s use of the DoubleClick cookie enables it and its partners to serve ads to users based on their visit to this sites and/or other sites on the Internet. You may opt out of the use of the DoubleClick cookie for interest-based advertising by visiting Google’s Ads Settings. You may also use the Google Analytics Opt-Out browser add-on for desktop or mobile devices. Low Carbe Diem is a participant in the Amazon Services LLC Associates Program, an affiliate advertising program designed to provide a means for sites to earn advertising fees by advertising and linking to Amazon.com. You may opt out of data use for targeting advertising and visitor retargeting through your browser’s Do Not Track feature or your Pinterest personalization settings. You are permitted to view this blog and its content via feeds. You may also subscribe through email to this blog’s various feeds. 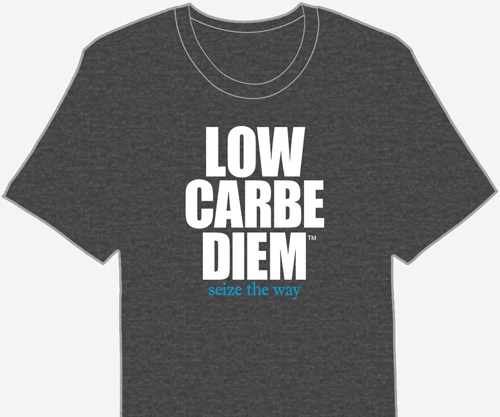 Use of feeds from LowCarbeDiem.com are for personal use, not commercial. Republishing content from this site via feeds is permitted as titles and excerpts ONLY, as part of Fair Use, at the discretion of the blog author and owner through written permission. Scraping, using feeds as a replacement for content, is not permitted under any conditions without the express permission of the copyright holder. Any use or republishing of full or excerpted content as a replacement for content is not permitted and will be penalized. You are not allowed to republish full content posts and/or articles from this site via feeds without direct permission from the author and/or contributors. You are permitted to use excerpts or titles via feeds on sites, subject to the discretion of the blog author and owner and copyright holder, and not as a replacement for content. You must attribute the work in the manner specified by the author and/or contributors. but not in any way that suggests that they endorse you or your use of the work. You may not use this work for commercial purposes. Ads on the site may imply the site is commercial as ads generate income. Published human and machine translations beyond Fair Use are a violation of this copyright policy. For any reuse or distribution of the content with permission, you must make clear to others the license terms of this work. The best way to do this is with a link to the original article posted on LowCarbeDiem.com. US Copyright Law protects this site’s content above and beyond the license by the Creative Commons. If you require any more information or have any questions about our policies, please feel free to contact us.